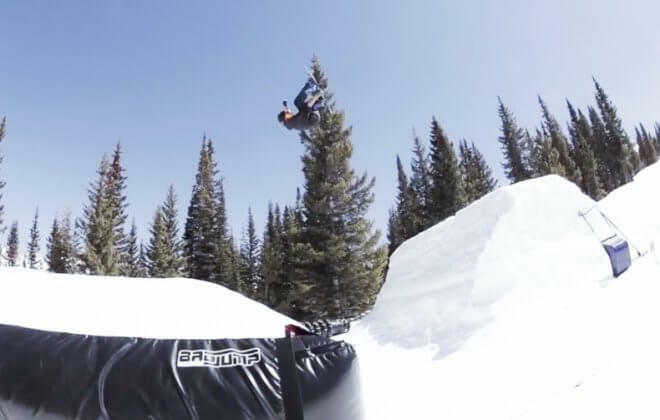 BAGJUMP® Airbags for ski and snowboard riders! This is how it all started. 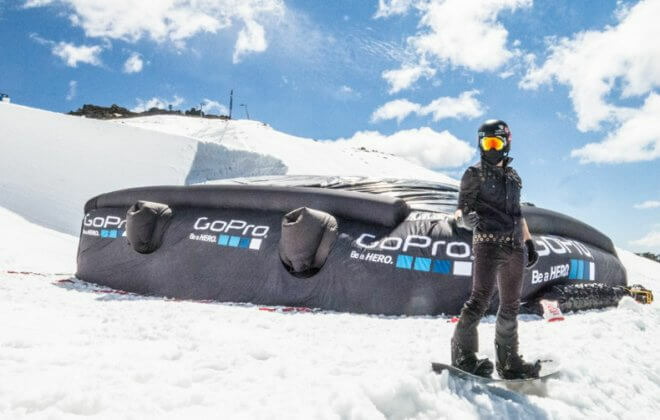 As former professional snowboarders looking for a training tool to learn new tricks safely we invented it for ourselves. 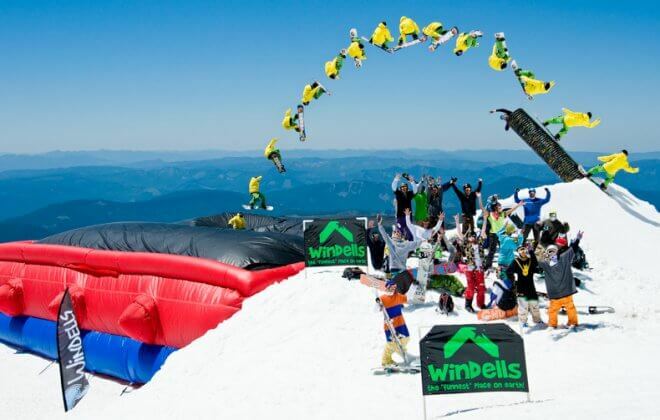 Nowadays riders from all skill levels are able to enjoy landing on a safe and soft giant inflatable air cushion. 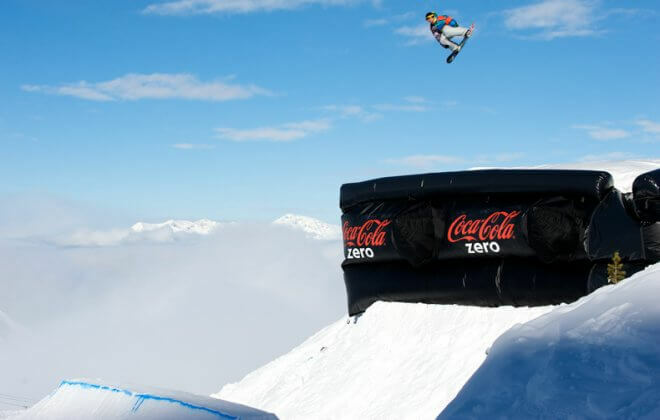 Whether it is for fun trying your first jumps or you are a serious athlete looking to progress to the next level - we have the right kind of airbag for you. 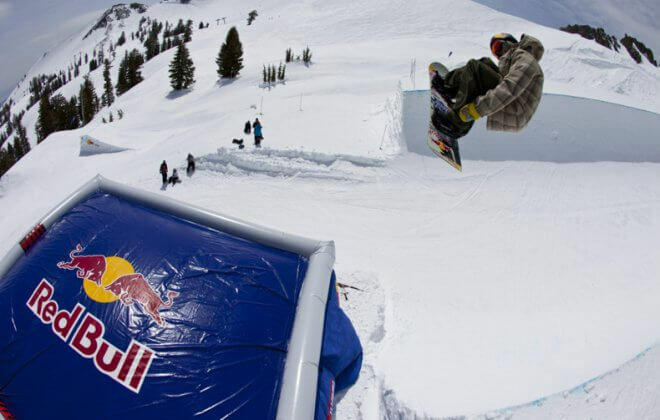 Have you ever wanted to try new tricks without the risk of getting injured? Thanks to our airbags now you can. We offer riders of all skill levels a safer platform to practice all those tricks they've always wanted to try. You can practice over and over again until you have your trick dialed - without the heavy risk of a hard landing. Our highest priority when designing any product is safety and functionality. 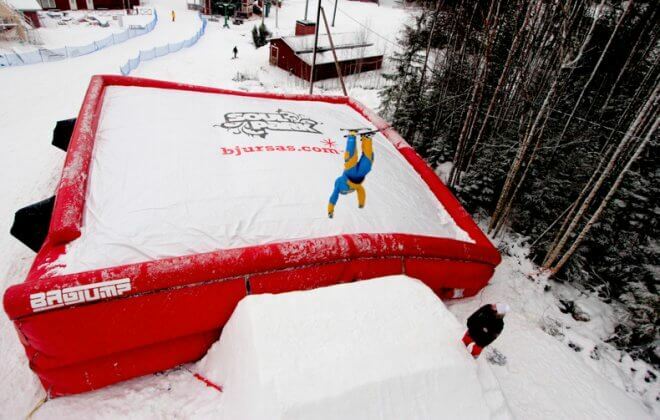 BAGJUMP airbags are by far the softest and safest airbag systems on the planet. 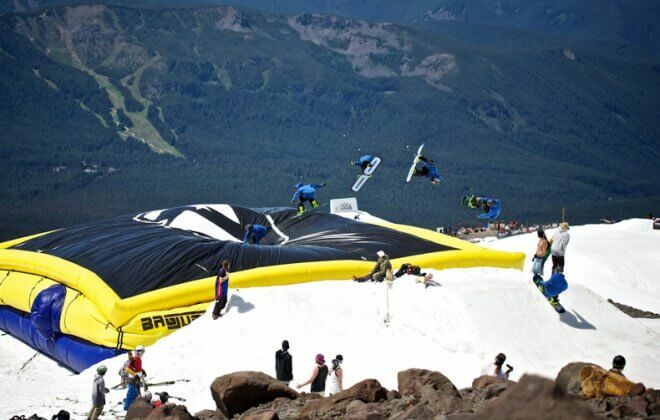 In order to try new groundbreaking maneuvres you need to be able to trust your landing, especially when you are going as big as some of the athletes in our record-breaking projects. Bottom line: we deliver what is promised. Our product in it's functionality, safety and reliability is unmatched. 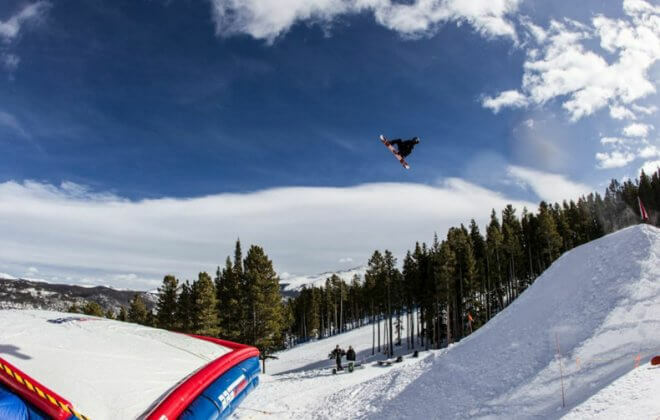 With over 10 years of experience in high-tech materials and design, as well as an incredibly strong R&D team we have developed countless airbag systems and pioneered airbag technologies for sports. 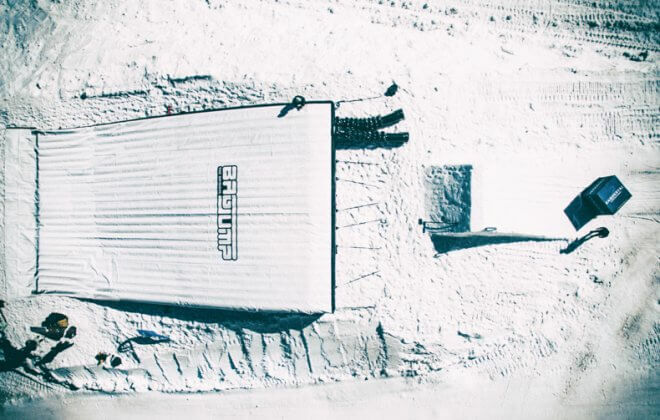 Our topsheets have to endure landings from sharp or rugged ski edges all season long. 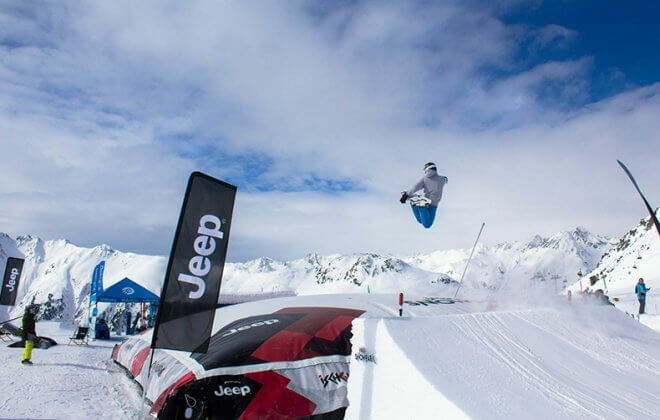 We have worked together with our partner HEYtex to develop the ultimate topsheets for any type if ski airbag. 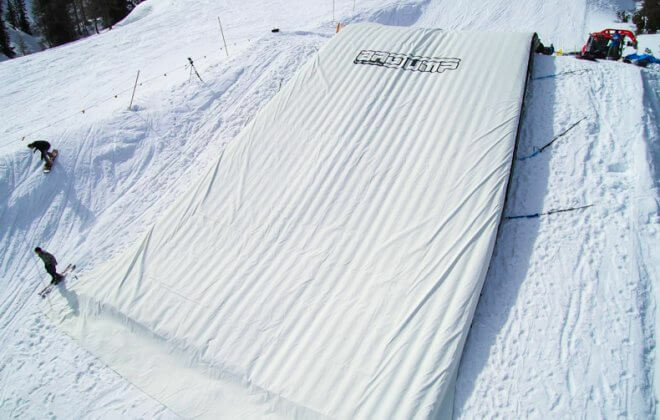 The enormous tear strength will ensure that you will never have to repair or heatweld your topsheet on the mountain. The surface is not standard PVC other airbag manufacturers use. 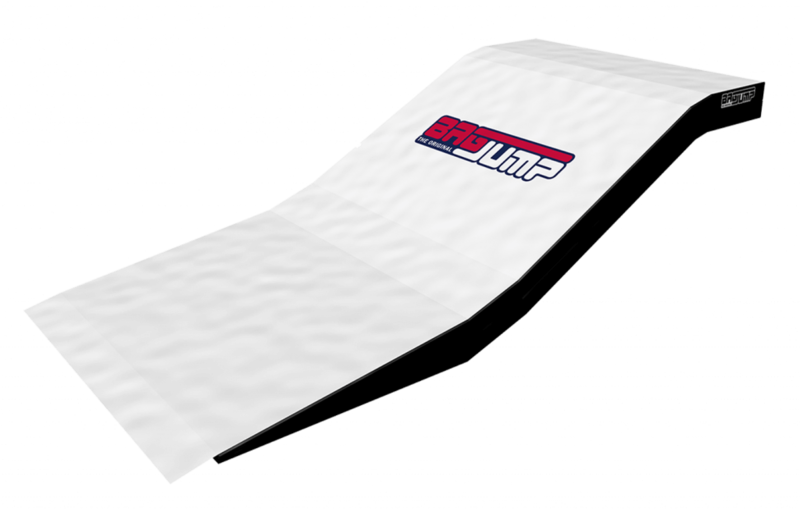 Our special coating will ensure that your snowboard/ski base never sticks upon landing to add more safety. We have developed the material for our airbag bodies over the course of several years. We wanted to ensure that they are light-weight, weather resistant and extremely tear resistant. We have managed to accomplish all of these things. Thanks to the reduced weight you will need to move, pack & transport several hundreds of kilograms/pounds less, which means less manpower and less costs. Especially on a mountain this will come in handy in comparison to some other heavy weight airbags. 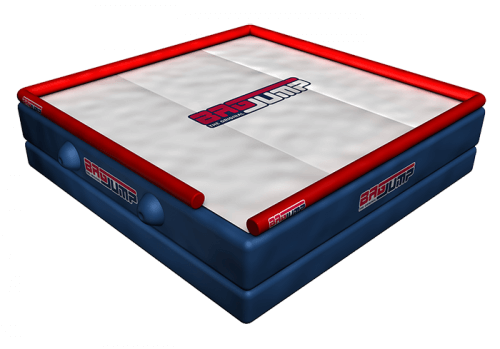 Are you a beginner or intermediate rider looking to learn your first straight jumps, backflip or 360s? 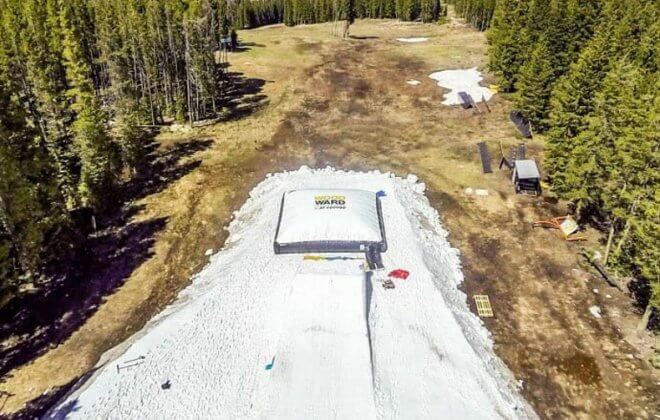 Are you a ski resort looking to offer an exciting attraction for your visitors or sponsors? 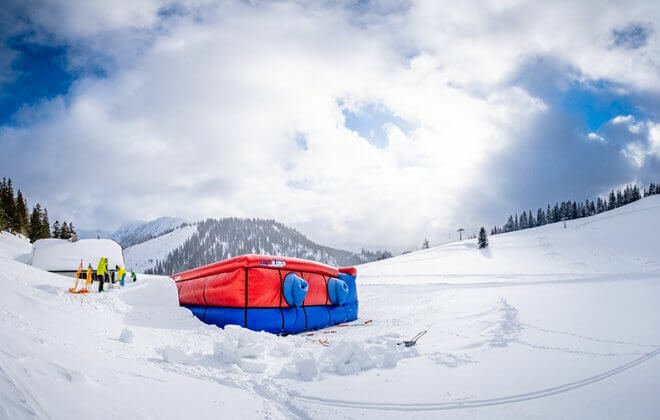 We have a variety of airbag systems suitable for you to cater to the majority of your ski resort visitors. 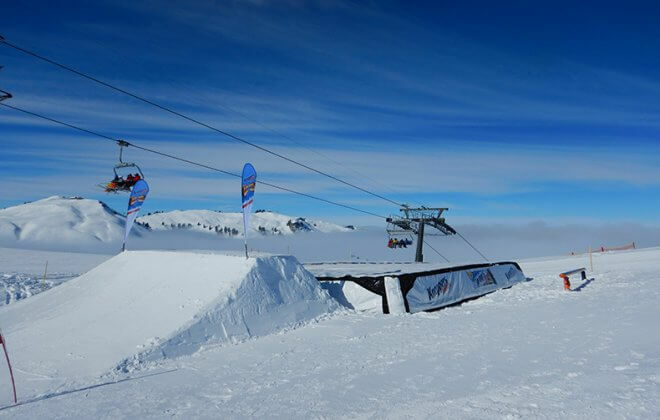 In case you want to find out more go to our Ski Resort page or get in touch with us. The most realistic Halfpipe training tool there is. Instead of landing into a flat airbag, you can land into an actual transition and get a perfect feel for whether you would have been able to land the trick or not. If you crash, you just slide to the bottom. 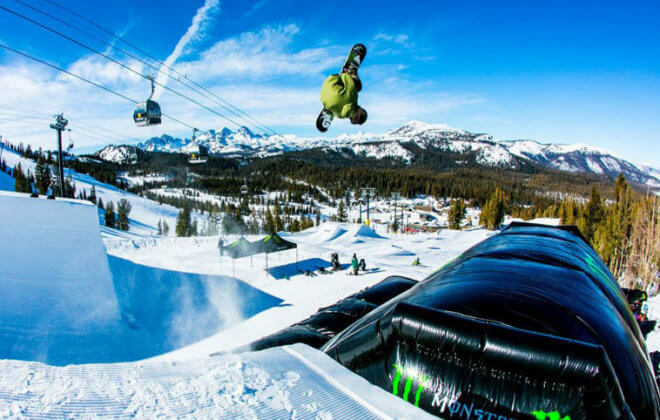 The airbag can be placed in any regular super pipe with a minimal amount of work on the pipe walls. It’s also a great solution for spine setups. 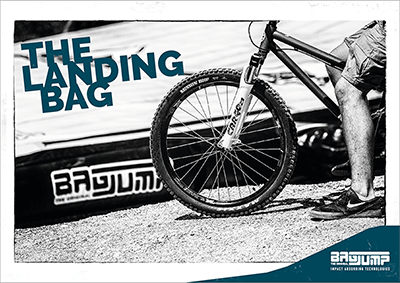 The Landing Airbag offers the ultimate realistic training environment for riders of all skill levels. 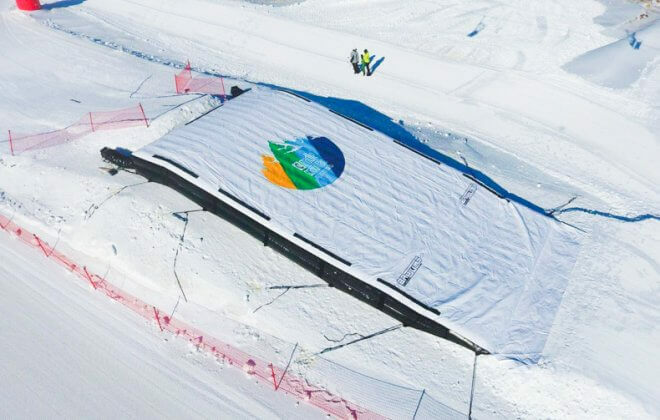 We offer smaller-sized systems for the average ski resort visitor and also large-scale systems for Olympic training facilities. The design is custom fitted to your specific purpose with various outrun options possible (angled outrun for a small jump or flat full stop outrun for Olympic setups). 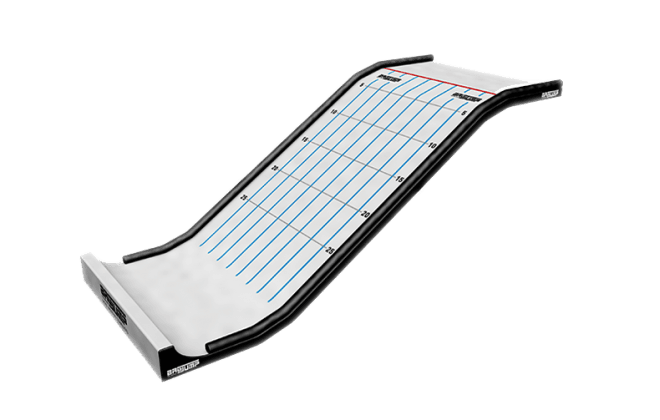 Our specially coated Topsheet® material guarantees that you will always slide properly and won’t have any cuts. 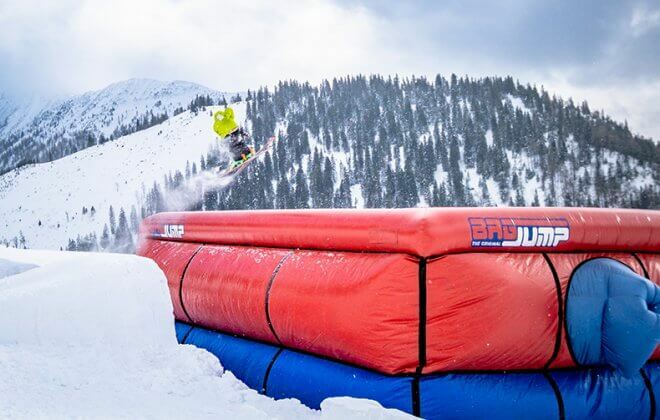 The BAGJUMP® Vertbag was introduced to offer superpipe riders a realistic yet soft and forgiving landing to practice their jumps on. 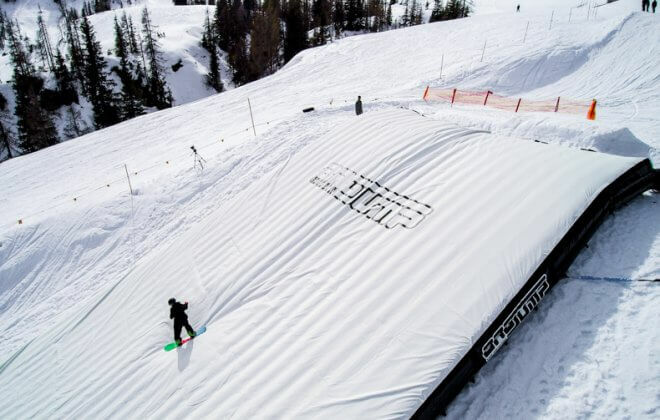 As we all know the coping and flats of a superpipe are hard as ice, but the Vert bag is the opposite. Thanks to its slanted landing angle it is more realistic than landing into a flat airbag, which gives you an ideal training scenario for progression. The Vertbag is simply placed as the last hit on the bottom of the halfpipe or next to a quarterpipe as an extension of the coping. We have very specific airbag systems for all vertical or horizontal impacts. 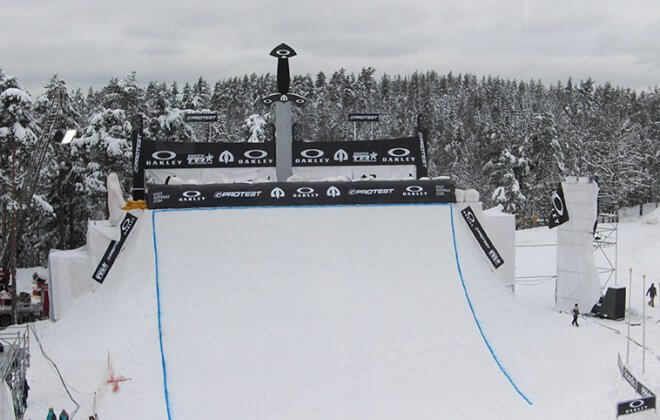 Do you have an outrun that is too short at your ski race or need to protect hazardous areas where netting just won’t do the job? We have the right high-speed impact protection system for you. 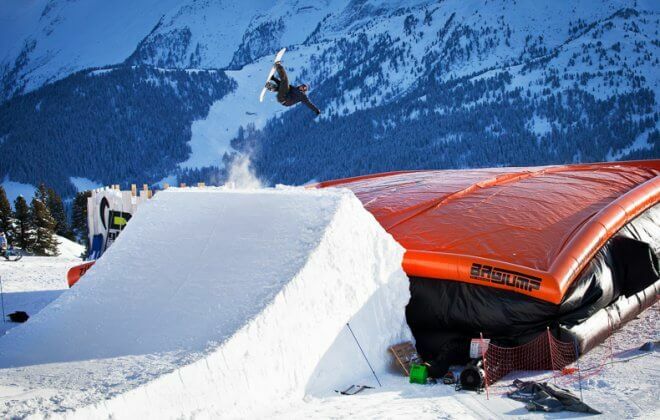 You can also use our halfpipe/quarterpipe Protection Airbags to place them on the icy coping tom protect riders from heavy impacts during superpipe training or quarterpipe events. 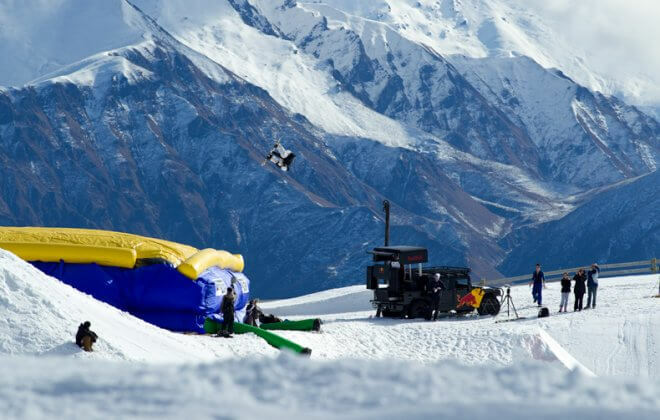 Landing airbags offer the most realistic training environment possible for Big Air practice. 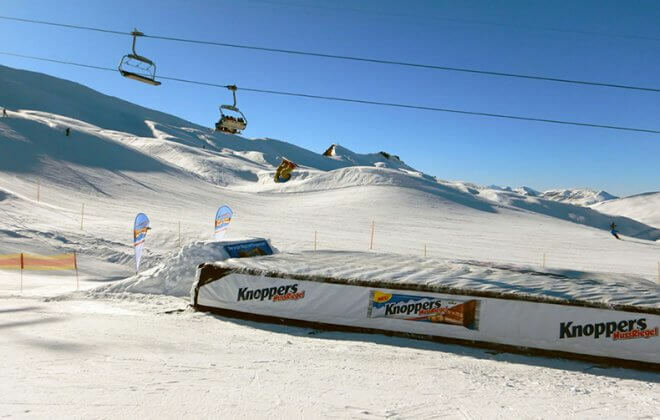 We offer various sizes for year-round dryslope or on-snow training. 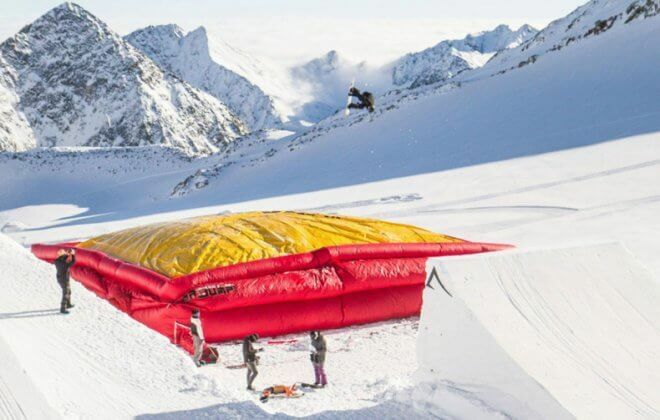 Our unique airbag system, Topsheet materials and landing bag technology are the best on the market. Get in touch for more information. Ever wanted to go big? This is the right airbag system for you if you want to push it to the new level.